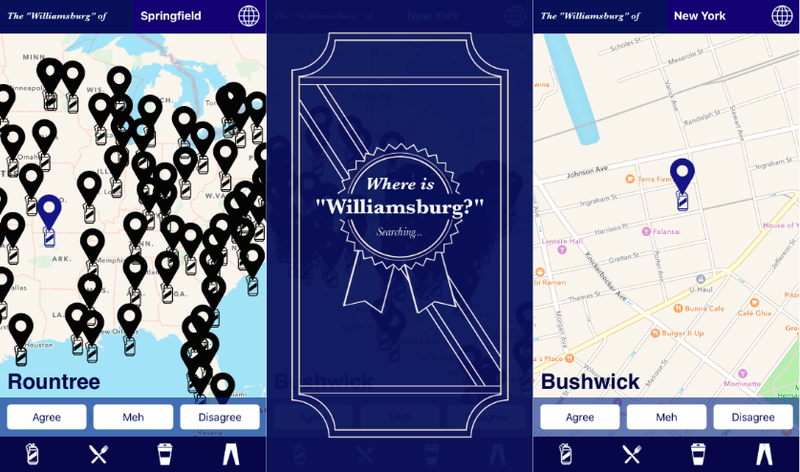 Travelers who hate flocking to beaten path museums and landmarks and who would prefer to spend the day exploring quirky neighborhoods may have been excited to hear about the new iOS app Where Is Williamsburg. 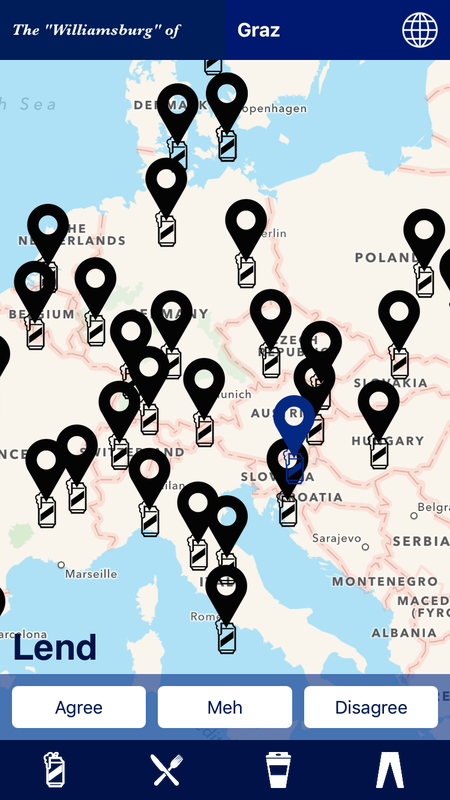 The new location-based app lets tourists scroll through a world map to find the “Williamsburg” equivalent of major cities around the globe, presenting info for hundreds of cities from Wichita to Warsaw. Despite the inevitable inclusion of some tame hipster mocking (sorry to throw down the H word) it’s a surprisingly reliable way to discover new neighborhoods away from the typical tourist tracts. 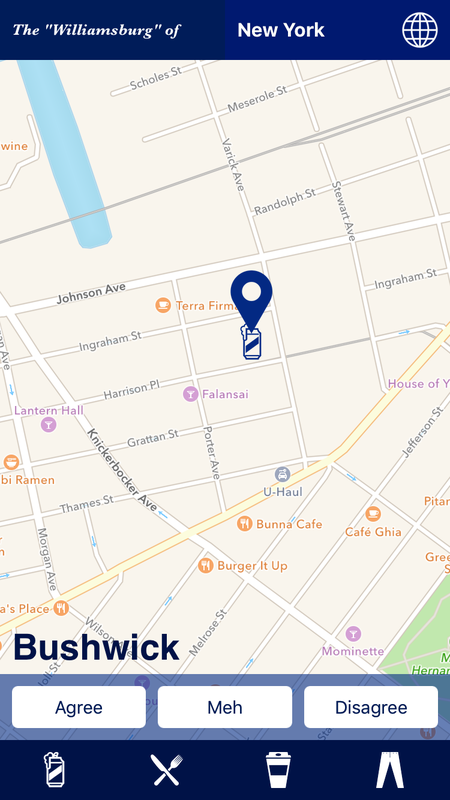 Initially launched using data from a Gawker article where readers were asked to submit the “Williamsburg” of their city, Ray used these submissions plus recommendations from friends to make the app. One day Ray would also like to make a heatmap chronicling the "Williamsburginess" of all the different neighborhoods users have submitted, instead of simply displaying the point value. Our favorite part about the app? Scroll over to New York City and instead of Williamsburg it’s actually Bushwick that’s crowned the “Williamsburg” of the area. Ray told us she herself chose Bushwick to be “Williamsburg” and users just agreed. Ray hopes to compile a list of Williamsburgs all over the world, noting it would be interesting to watch how they all change over time. As an even loftier end goal, she aspires to do a complete mapping of NYC neighborhoods around the globe which you can read more about on her blog. Sometimes a little useful satire shows that all us New Yorkers really want is to find that temporary home away from home (with cold brew).